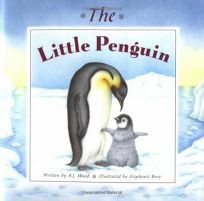 Durable embossed pages heighten the drama of a young emperor penguin's rite of passage-the loss of his downy feathers-in The Little Penguin by A.J. Wood, illus. by Stephanie Boey.